To me ‘cosplay’ has always meant to be able to ‘make everything out of anything’. Creative people have been able to make amazing costumes out of everyday household materials for long before we had all those fancy cosplay materials we have today. We’ve always found ways to misuse materials from the car or sanitary industry and spent countless hours searching through our local hardware stores to find something, ANYTHING we could use to solve our costume problems. Worbla for example was not created for costuming. It’s originally from the shoe industry and was used to make the toe caps in our working shoes harder. Then some day one creative person gets the idea to use it for making armor and accessories and today it has become a pretty household name in the costuming world. It’s just how thinking creatively works: having a problem and finding ways to solve it. Today there is a whole industry dedicated to produce materials made especially for costume makers and cosplayers. Additional to EVA foam, thermoplastics like Worbla and Wonderflex have been the go-to for armor makers for quite some time. So naturally other companies started to notice the potential of this growing marked and developing their own similar crafting products. I guess by now you’ve probably all heard of Cosplayflex or Thibra and so I though it would be a good time to give you an overview of a few of these newcomers. This post is supposed to help you get a good idea of their easy handling, texture, flexibility and adhesive strength. I’ll rate every product in those categories with 1 to 5 hearts (five being the best ♥♥♥♥♥). I’ll also write up a few pros and contras. Additionally I used spray paint on the unprimed material as well as on two layers of wood glue. These days Worbla is probably the most common crafting material in the cosplay scene next to EVA foam. It first showed up in 2012 and gained a huge user base since then. Worbla comes in sheets with different sizes, is around 1mm thick and has a cookie dough brown color. Just like all other thermoplastics it needs to be heated up with a simple heat gun (I recommend using one with at least 1500 Watts) and can be shaped while it’s warm. Once it reaches around 80°C it gets sticky to itself and most other (thermo)plastics. Additionaly it becomes soft and flexible like fabric, can be cut with normal scissors and easily shaped by hand. While Worbla is an amazing crafting material for countless applications, the pretty rough surface texture is kind of a downer. To get a smooth finish you’ll need to apply a primer. The most common way is to use around five layers of wood glue or white glue. You can also use spray primer or gesso, but they need to be sanded afterwards. 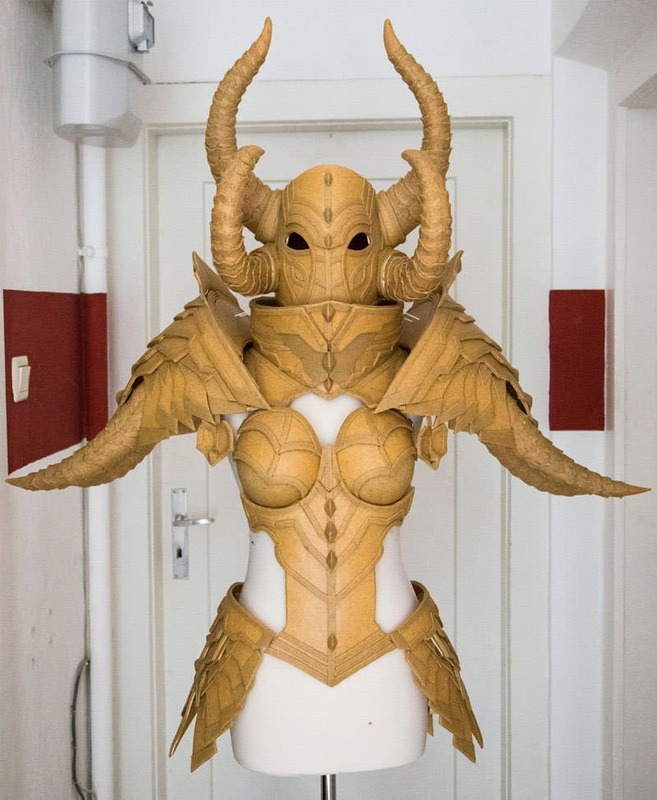 I really love working with Worbla and so and you’ll find countless tutorials in my crafting books and also some videos on my YouTube channel. In my opinion Worbla’s biggest pro it’s worldwide availability. Check out www.cast4art.de to find a local shop! Also if you wanna see a bit more, check out this little bracer making of video! Made by the same company (www.cast4art.com) Black Worbla tries to resolve the most common problems of its brown sibling and was developed especially with costume makers in mind. The surface is much smoother indeed, however you still need one or two layers of glue before you have a perfectly smooth finish. It’s made out of finer particles, which makes it more stretchable and easier to sculpt fine details with it. As the name implies ‘Black Worbla’ already comes in a dark color which is very handy for getting a nice shading with your paint job. Another difference is the glue within the material. While brown Worbla sticks which just a bit of heat, Black Worbla needs a higher activating temperature. You can use that to experiment or correct something. However keep in mind to heat up your parts well enough for them stick really well. Other than that it has pretty much the same characteristics as Worbla and even shares the almost the same price. I also made a more detailed video review for Black Worbla, check it out! 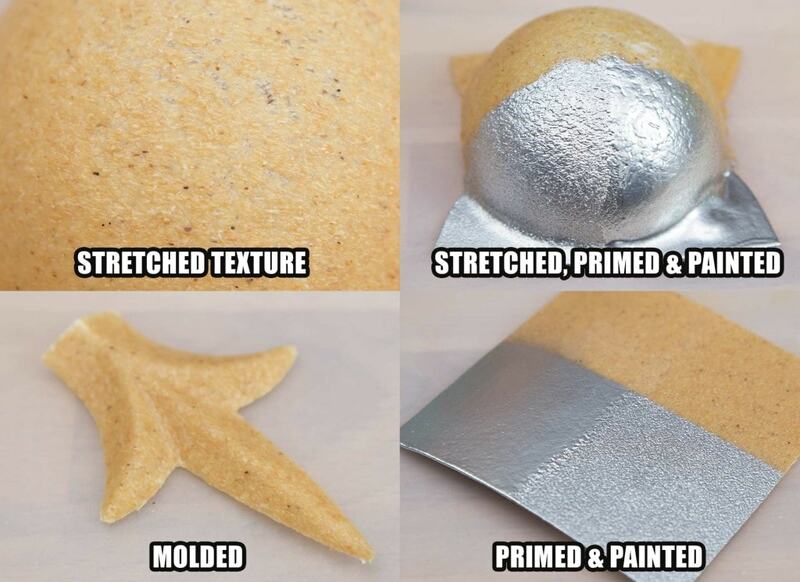 Cosplayflex is quite similar to brown Worbla, but just a tiny bit smother and brighter. 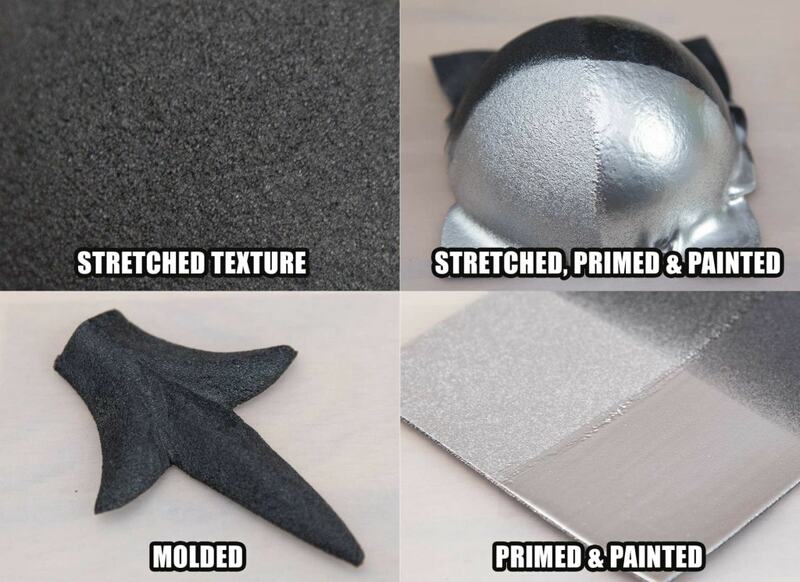 It’s made out of finer particles, which makes it slightly more stretchable than brown Worbla. Are you pulling it too much, the surface becomes rough pretty quickly. Other than that it is almost identical to the classic brown Worbla. So there are not really any pros and cons to write about. Thibra is a product that I can’t really compare to any other. It’s like somebody mixed plastic with a ton of chewing gum and pressed it into sheets. It’s super smooth, doesn’t have any texture and can be directly painted. Heated up it sticks to itself very well and gets extremely stretchable. So far so good! When I tried to work with it like I would with all my other thermoplastics though, I ran into a few problems: Heated up Thibra gets so soft, that it shows nail scratches, if you wear a ring and even keeps your fingerprints! This forces you to work extremely careful and you need to be ready to fix flaws. I was pretty busy with getting rid of air bubbles, finger prints and scratches all the time. Additionally it sticks to PVC and other plastics pretty aggressively – this made it impossible for me to make a proper cast of my plastic sphere (a common technique for making female breastplates). Based on these experiments I probably wouldn’t use it directly for my armor pieces. 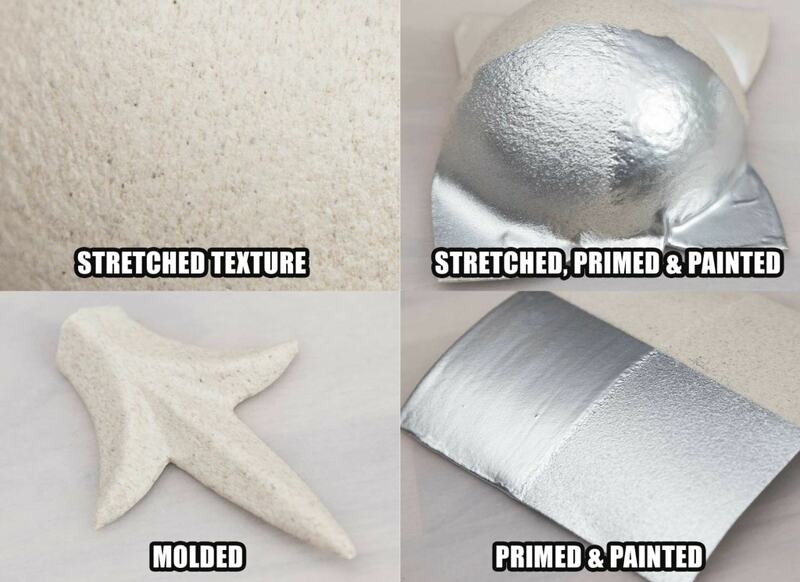 Thibra however is really great for sculpting fine details, molding pieces and covering foam. In the past I used Worbla Deko Art or its US equivalent Friendly Plastic for that job, but the extreme working temperatures and stickiness burned my finger tips and attacked my skin. Thibra is a great way to work with the same amount of flexibility, clean surface and without much of the pain. BIG BUT: On paper it might seem like a perfect material, but once you start working with it you’ll begin to notice that it’s like working with hot chewing gum. Once you heat it up you’ll see every single scratch, finger print and flaw which will be hard to get out again! Wonderflex is one of the oldest thermoplastics and was also the choice for my very first armor, my Asmodian Gladiator. It has a surface texture similar to brown Worbla, so it requires a lot of priming. While it has one clean side, the other one is covered by a fabric mesh. This makes the materials extra durable, but also limits it’s flexibly quite a lot. For that reason it’s really difficult to use any leftovers for sculpting. Up to a certain point Wonderflex works just fine for general armor making, but when you need a more flexible material for sculpting or boobie cups you’ll have to swap it for something different. Compared to other thermoplastics it is a bit more affordable though. Other than that you’ll find quite a few Wonderflex clones all over the world. One of them is Tex from www.thibra.com, it’s pretty much a blue Wonderflex. 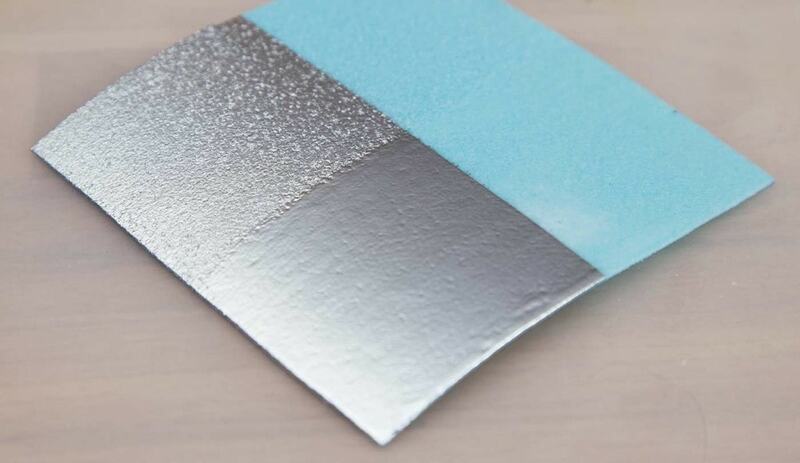 The same company also offers Tex with different metallic foils on top. 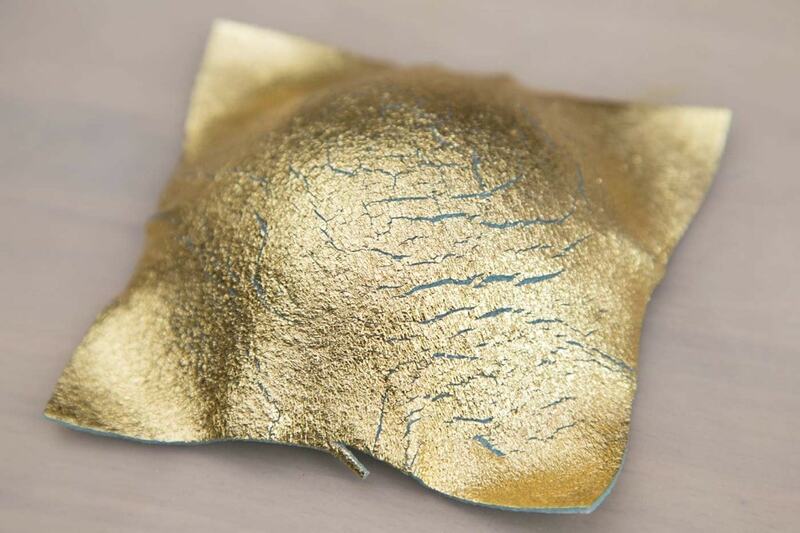 This foil get wrinkles once you heat it up and tears completely apart while you shape it. I wouldn’t recommend to use any of these products. I already made a detailed video review for this product, so I’ll keep it short: TranspaArt was falsely promoted as transparent Worbla, which was very misleading and let to wrong expectations. TranspaArt comes in flexible sheets and is – compared to other thermoplastic materials – pretty tricky to work with. It cools down again really fast, so you have to work with it when it is still super hot. This not only might burn your fingers but it also limits the time you can shape it. You basically need to reheat TranspaArt a lot. Also the material doesn’t really stick to anything that much, but it is very transparent. I love to use it for LED projects for example. Now for more details please check out my video review! Similar to TranspaArt, Cosplayflex Clear is a translucent thermoplastic. It’s twice as thick as Worbla (2mm) and is a bit more milky compared to TranspaArt. To be honest, I did not yet work with it that much, so my experiences here is still very limited. What I can say though is, that it’s also a bit tricky to handle. I wasn’t really able to make molds with it, since it cools down really fast and also shrinks together quite considerably when you heat it up. Additionally sculpting didn’t work properly as well, since the material only gets flexible, but not really soft and clay like. All I managed in a quick test run was to build some translucent spikes, ugly sausages and bumpy balls – the easiest shapes you can create when just getting into sculpting. 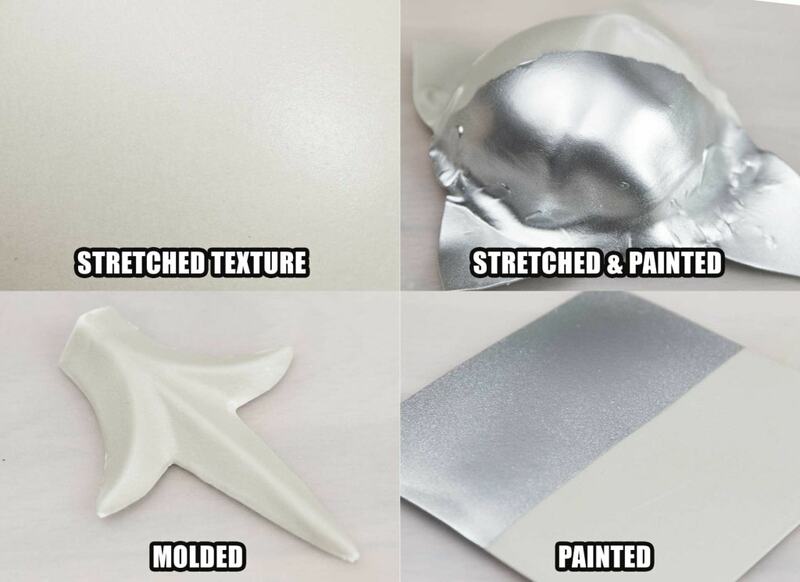 By searching on the internet I found that this was also pretty much everything most people have made out of Cosplayflex Clear so far. So, either the material stills needs some work or nobody has found the perfect way to use it so far. I definitely need to spend a bit more time to experiment with it. Until then I’ll probably stick to TranspaArt for now. Comparing these materials, Black Worbla is still my favorite! It has the smoothest surface and is the most flexible and durable. If you can figure out the right glue temperature it’s pretty much perfect for any type of armor or prop work. It’s also pretty easy to find in many crafting stores all over the world. Check out this website for a list of vendors in your country! 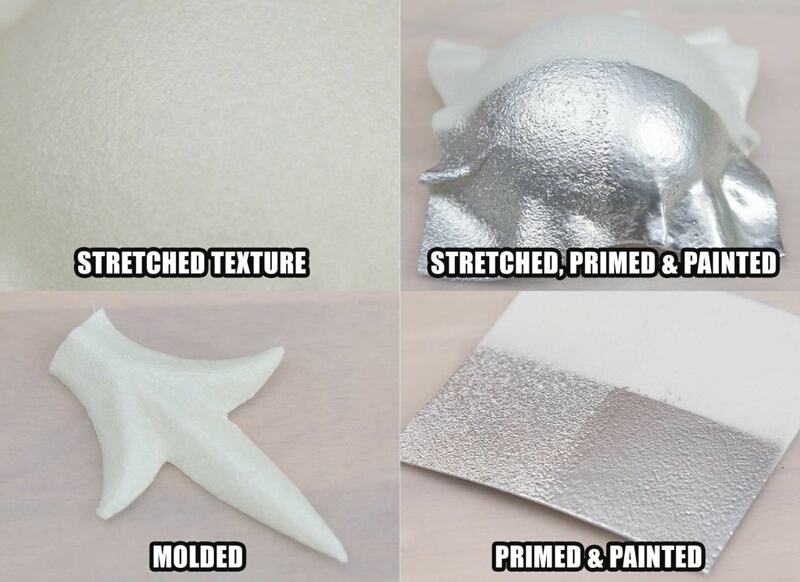 When it comes to making details or molds you can check out Thibra as well since the surface is super smooth but you’ll have to be careful to handle it very delicately. Other than that most other materials do not really offer anything new or different from the regular Worbla and Wonderflex so I see little incentive to change. They all work well enough so it may just be a matter of personal preference or whatever is easier for you to find. Additionally all materials sticks to each other, so feel free to combine them if you want! Just remember: No matter which way you want to go – you can do it! Cosplay is fun! Also, don’t forget to check out my cosplay crafting books!